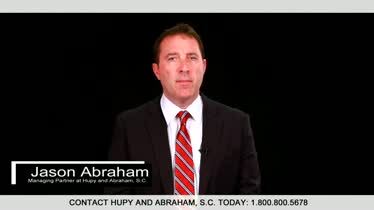 Your Iowa Slip and Fall Lawyer | Hupy and Abraham, S.C. 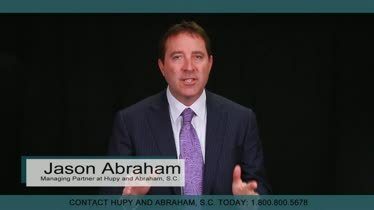 Invaluable Information for People Who Have Been Injured in a Iowa Slip and Fall Accident. Today you took a serious fall. Will tomorrow be the day you recover? Falls are the second leading cause of injury-related deaths in Iowa and a significant cause of non-fatal injuries, according to the Iowa Department of Public Health. If you have been hurt because of a property owner’s negligence, then you may be able to recover damages for your injuries, but those damages won’t come tomorrow. Before you can recover damages you need to know what kind of compensation you may be able to recover and how to protect your rights. 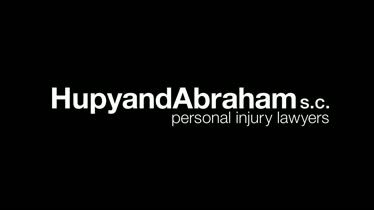 The Iowa slip and fall lawyers of Hupy and Abraham have been helping injury victims get fair recoveries since 1969. Insurance companies know us and they know that we thoroughly investigate every case and zealously advocate for our clients’ fair and just recoveries. Medical costs. This includes all of your health care costs such as hospital stays, surgeries, doctors’ appointments, medications, assistive medical devices, and rehabilitation therapies. Lost income. Any money or benefits that you are unable to earn because of your injury may be compensable. Physical pain and emotional suffering. Your physical pain and emotional suffering may be difficult to value, but an experienced attorney can help you do so and get the recovery that you deserve. Other costs. Any other out-of-pocket costs that you’ve incurred as a direct result of your slip and fall injury may be recovered in a settlement or court verdict. However, before you can recover these damages, you will need to prove why your injury occurred and what injury you suffered. Then, you will have to convince the insurance company to settle with you or the court to find in your favor. There was a property design defect that led to your injury. A property that is not designed to be reasonably safe or that does not meet the local building code requirements could cause an injury. There was a property maintenance flaw that led to your injury. The failure to maintain the property safely and in compliance with local building code requirements could also cause an injury. You slipped on snow or ice. While not every snow and ice fall is the fault of the property owner, there are some situations when you may be able to recover damages for your injuries. You may have a case, for example, if the storm was over for a reasonable amount of time prior to your injury or if the property owner’s actions made the snow and ice more dangerous. Supermarkets and other stores. Wet or slippery falls and trip hazards can make grocery stores and other retail stores common locations for fall accidents. Restaurants. The hustle and bustle of restaurants, torn carpets, slippery floors, and other factors can lead to dangerous falls. Hotels. A serious fall can occur in any of a hotel’s grounds including, but not limited to the pool, exercise room, lobby, stairwell, elevator, hallway, or private room. Gyms. The failure to maintain clean, safe, and uncluttered areas can cause a trip or slip and fall at a gym. Sidewalks. Uneven surfaces or icy conditions can cause significant fall injuries on sidewalks that abut residential and commercial properties. Playgrounds. Poor design or maintenance can cause these play areas to be significant fall risks for children. Amusement parks. All areas of the park including the rides, walkways, eating establishments, and restrooms should be reasonably designed and maintained to prevent fall injuries. Hospitals. Slippery floors and cluttered hallways can create serious fall risks for patients and visitors. Elevators and escalators. Any malfunctioning elevator or escalator—on any type of property—can cause a serious trip and fall risk. Regardless of where a fall occurs, it can result in many different types of injuries. Brain and head injuries. A traumatic brain injury, skull fracture, or other injury can occur if you hit your head on the ground or another object during a fall or if an object penetrates your head when you fall. Spinal cord injuries. A spinal cord injury may leave you paralyzed, with loss of sensation, or with another serious injury. Many spinal cord injuries are irreversible. The specific type of injury you suffer depends on the part of the spinal cord that was hurt in your fall. Broken bones. Any bone can break in a fall. Particularly vulnerable in a trip or fall are hip bones, tailbones, arms, wrists, legs, and ankles. Broken bone recoveries can be long, painful, and expensive. Dislocated shoulder. A doctor may be able to get your shoulder back in to place; however, your recovery depends on whether any nerves or ligaments were injured. You may require rest, immobilization of the shoulder, and physical therapy to recover. Eye injuries. Falls are the most common cause of eye injury accidents. An eye injury can result in permanent blindness, other vision problems, and pain. Facial and dental injuries. Sometimes it is the face that hits the ground hard. In these types of falls, serious injuries such as a broken jawbone, a broken nose, broken teeth, or other injuries may occur. Death. Death is a risk for everyone who falls—but most especially for the elderly. Many of the above injuries can result in death, although death does not always occur at the scene of the fall. Sometimes it occurs later because of injury complications. Once your injury is identified, then you should begin working on your physical and legal recoveries. If you have the right to pursue damages—and who might pay those damages. Property owners and landlords are not liable for every fall injury. Before you pursue a claim it is important to know if the owner or landlord may be legally responsible for what happened to you. How to report your accident. Fall injuries should be reported to the property owner, manager, or landlord as soon as possible. The report should include the time, date, and location of your fall but typically should not include your comments about why you fell. What property insurance is and how it may apply to your case. A property owner’s personal insurance or business insurance may cover the costs of your fall injury. How to deal with insurance adjusters. Insurance adjusters want to pay you as little as possible so that they can maximize profits for the insurance companies. Accordingly, it is important to be cautious when negotiating with insurance adjusters. How to collect and protect evidence after a slip and fall. The evidence that you collect should include pictures of where you fell and contact information for all witnesses to the accident. It is important to get the information as soon as possible and to share it with your attorney. 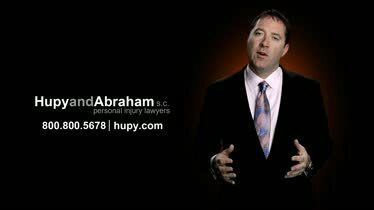 What to do after a slip and fall accident. The actions that you take after a fall can significantly impact your recovery. What not to do after a slip and fall accident. You can protect your rights and recovery by avoiding certain mistakes after a slip and fall accident. How long you have to file a lawsuit. In most cases, you have two years to file a slip and fall lawsuit; however, the statute of limitations does have exceptions that may shorten or lengthen the time you have to file a case. If you can still collect damages if you were partly at fault for your own injury. You may be able to recover damages even if your own negligence partially contributed to the accident. However, it may impact the amount of damages you can receive—and in some cases your own negligence may prevent your recovery. What witnesses may be important to your recovery. Both eyewitnesses and expert witnesses can be important to your recovery. How slip and fall settlements work. Settlements are binding and allow you to recover damages outside of court, but first you must negotiate a fair deal. How to protect the rights of your child who was hurt in a fall. If your child is a minor then it is up to you to protect your child’s rights by filing a lawsuit on your child’s behalf or by engaging in settlement talks. You should also know more about the benefits of working with an experienced slip and fall lawyer. An attorney can help you understand how all the factors described above apply to your specific case and make sure that all of your rights are protected. If you would like a confidential and free consultation with an experienced lawyer, all that you have to do is call us directly at 800-800-5678. We will provide you with an honest and accurate assessment of your potential slip and fall case and work hard to get you the recovery that you deserve.